McKevitt FIAT of Berkeleys Service Can Do it All! Serving South San Francisco, Daly City, Alameda, Berkeley, Oakland, Mill Valley, San Rafael, and Marin. Here at McKevitt FIAT of Berkeley we take pride in the auto repair service we provide. At our auto repair & FIAT service center near San Francisco, CA it is our goal to charge a competitive rate for your repair and maintenance work. We proudly serve the areas of South San Francisco, Daly City, Alameda, Berkeley, Oakland, Mill Valley, San Rafael and Marin. 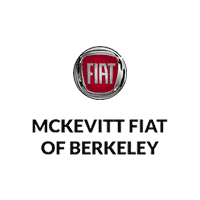 We know that a correct and efficient diagnosis is important the first time so we at McKevitt FIAT of Berkeley take care when looking at your vehicle. Whether its a new FIAT vehicle or a car, truck or SUV, our certified mechanics are here to get you back on the road! Whatever your service need is, whether its a tune-up, new brakes or regular maintenance, parts and accessories, McKevitt FIAT of Berkeley’s service center can do it all. Contact our studio’s service department by calling 888-492-2347888-495-8990 or stop in to make an appointment for your next service or auto repair. We are conveniently located near San Francisco, CA at 2700 Shattuck Avenue #200 in Berkeley, CA. We look forward to seeing you and helping you keep your vehicle running strong.